I started my career as a woodworker in 2012 when I signed on as the Lohr Woodworking apprentice. Since then, I have finished the apprenticeship and continue to love every part of woodworking, designing and making furniture, and teaching the courses. Lucky for me, I now have a hand in collaborative furniture pieces as well as make pieces of my own original design. Beyond the furniture-making, and typical jobs of a journeyman, I am also happy put my education (and math) background to use within the structure of the courses. I am one of the full time instructors for each course and enjoy every moment of teaching our safe, strategical, inventive, and efficient woodworking techniques to our students. After graduating with a degree in Math Education, I moved from Florida to Philadelphia to start a career. With a lifetime of creative projects and endeavors in my wake, I was seeking a career that fused my attraction to the arts with my enthusiasm toward education. I started as an apprentice in December of 2012 and have found an interest, love, and passion in woodworking. After a childhood of watching intently from atop the cellar stairs as my grandfather, a carpenter, created beautiful furniture, I am dedicated to learning the craft myself. 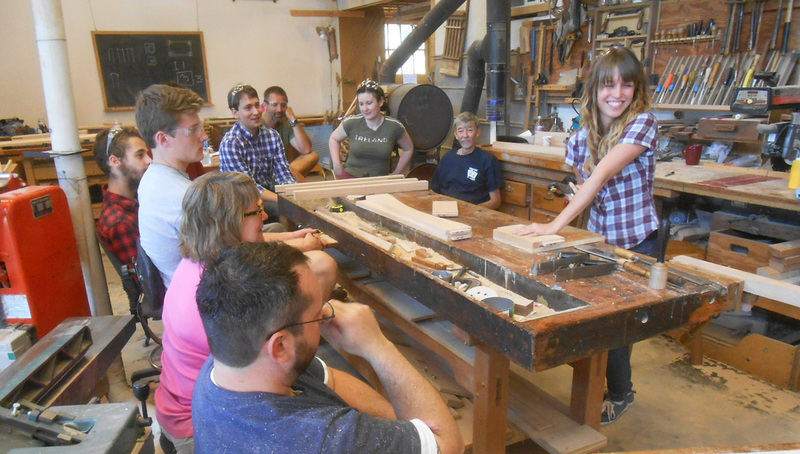 In the coming years at Lohr Woodworking, I will continue to work to perfect my skills and hone my own style as well as love every moment of teaching the woodworking classes.